It’s understandable why anyone would want to move to Costa Rica. The country has a majestic landscape, exciting outdoor activities, low cost of living, favorable foreigner/expatriate policies and ample working opportunities. Costa Rica is however known for high import duties. Living in Costa Rica as a foreigner is easy. Moving is the main hurdle especially if you want to move with your car and personal belongings such as household items. To move seamlessly, there are several things you must know/understand. 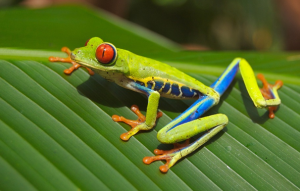 Costa Rica’s Customs Law has several articles relating to the importation of used goods/items. Duty varies depending on several factors i.e. when and how you import the goods. Here’s an important criteria to consider. Your household items are exempt from duty if; you are an adult who is importing the goods for personal use (not for sale). The items must also be used (at least 6 months old) and the importer must enter Costa Rica within three months (90 days) prior to custom clearance. If your shipment meets the above criteria, your household items will be exempt of duty. If you have new items, duty is based on CIF (Cost, Insurance, and Freight) as well as the value of those items. It is worth noting it is cheaper to ship more items. Shipping a vehicle to Costa Rica is costly (costs more than shipping household items). Total costs vary depending on factors such as the; tax, size of the car, age of the car, how the car is shipped (i.e., in a container). It’s worth noting that taxation is charged against the original price, not the age or condition. The average retail value of the car is considered. The import value of a car can be established in the Ministry of Treasury Valuation Database: http://www.hacienda.go.cr/autohacienda/AutoValor.aspx . Total cost of importing a car to Costa Rica is highest for older car models. Cars manufactured in 1999 or earlier pay approximately 80%. Cars manufactured in 2000 to 2004 pay approximately 65% while those manufactured earlier i.e. 2004 and earlier pay approximately 55%. International moving companies such as A-1 Auto Transport Inc. can assist with moving household goods and vehicles to Costa Rica. For more information visit https://www.a1autotransport.com/moving-to-costa-rica/ . After considering the cost of shipping your car and household items to Costa Rica, you may become reluctant. However, most foreign residents, as well as Costa Ricans, prefer imported goods from countries like the U.S. because they are of better quality. If you value quality, you may want to go ahead and import. If you don’t mind living without luxuries, you can consider living in furnished apartments or consider what you need locally. Remember, what you need to import solely depends on your own preferences and budget. However, don’t ship what you can get cheaply or easily in Costa Rica. You should also make an effort to declutter before shipping. Also, avoid bulky items to avoid excessive shipping and taxation costs. It may also be smart to talk to foreign residents in advance just to get firsthand insights. You should also consider shipping from the nearest port. If you live in the U.S. for instance, you should ship your car and household items from Miami, the U.S. port that is nearest to Costa Rica to enjoy lower shipping costs. Foreign residents in Costa Rica are allowed to import merchandise worth $500 tax-free after every 6-months. This waiver is in addition to regular traveler’s luggage. You can take advantage of this waiver to import the items you need overtime. However, you must not exceed the $500 limit to avoid additional charges and customs restrictions. It is very expensive to import large items by air. For items such as refrigerators, washing machines, etc. that exceed 500 pounds, consider shipping such items in a large container. You can choose a large or small container (40-foot or 20-foot). It costs approximately $1,500 including tax to ship items to Costa Rica using a 20-foot container. Large 40-foot containers cost approximately $2,000. You need a customs agent to get all your household items and belongings (such as your car) out of customs seamlessly. You can find a reputable customs agent by conducting a simple search online or asking for referrals. Documents required to clear a shipment through customs include; a copy of your passport (the main page) plus the page containing last entry. This is required for your shipment to be treated as personal effects given customs must clear personal items within 90 days of a person’s arrival. You also need a packing inventory showing the value of the declared items. If the items are imported via air, you need an original airway bill. Freight forwarders send airway bills with shipments. Airline agents usually give you this document after you pay Terminal handling fees. The above information summarizes the process of importing a car and other household items into Costa Rica. Since it is a lengthy and tedious process, most people prefer paying custom brokers/agents to handle everything on their behalf. It may cost more; however, you will save valuable time and effort. Best of luck and pura vida! Posted in Costa Rica, News.